Reversible Enterprise style #12 meat grinder plate with 1/8 inch grind holes for a fine grind. The reversible plate design allows that as one side becomes worn the unused side can be paired with a new or sharpened knife thereby extending the life of the plate. 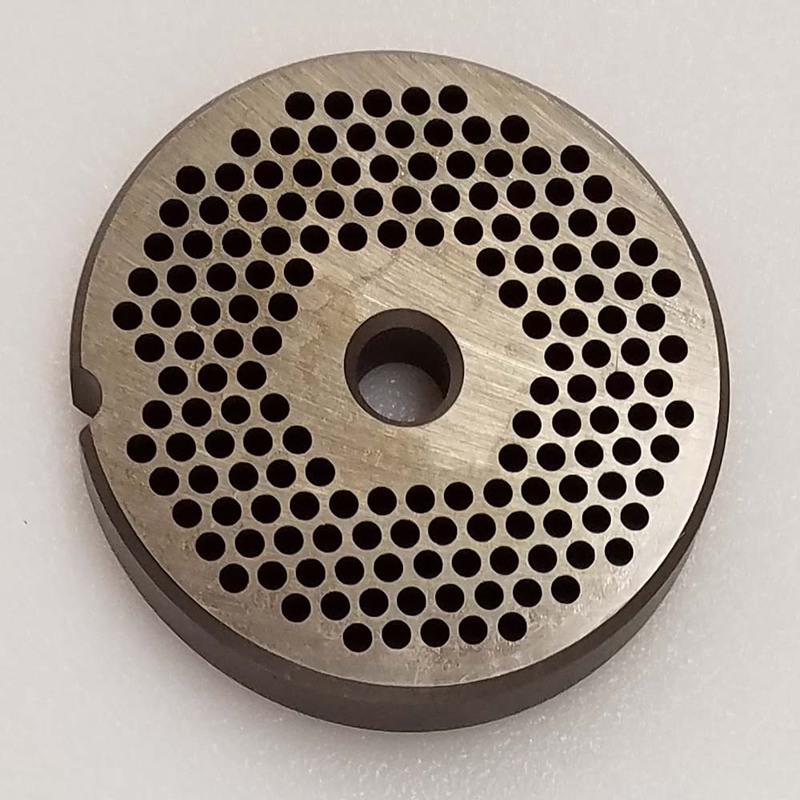 The plate diameter is 2-3/4 inches with a 3/8 inch center hole. There is one notch on the side of the plate that fits to the plate holder pin in the grinder housing. Fits Biro, Hobart, Torrey, Pro Cut, and most US made #10 or #12 meat grinders that use Enterprise or Hobart style plates. Triumph meat grinder plates by Speco are precision manufactured from the highest quality commercial grade D-2 tool steel. 100% certification secured and fully inspected. Made in USA. that I need a replacement blade for. Will the Tor-Rey Stainless Steel #12 Toledo, or . . .